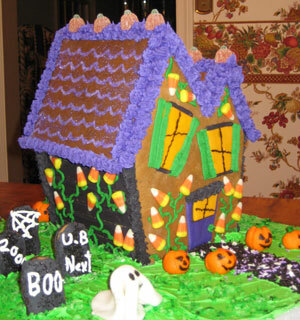 Money Back Guarantee This basic halloween gingerbread house pattern is almost as easy as making a traditional gingerbread house. It just has sloped sides and a slightly more complicated roofline. 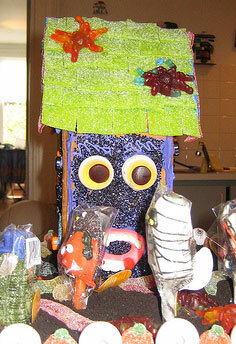 But the end effect is a terrifically spooky edible haunted house. 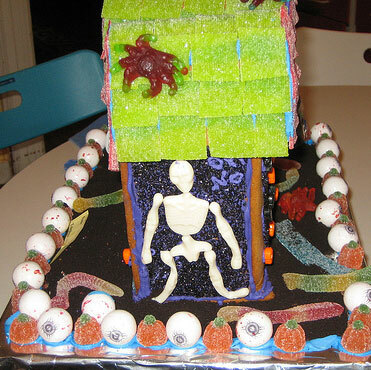 This adorible Halloween house was built and gratiously shared with us by Karen Szydlik. 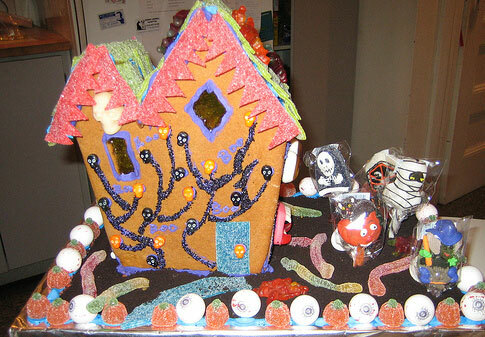 This spooky house was built and shared with us by PenForHire on flickr. 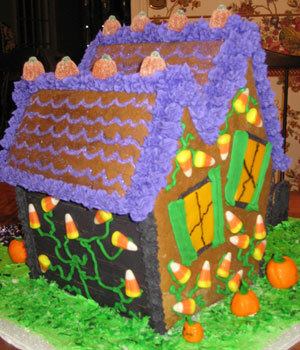 Halloween House like this one. To use your gingerbread bungalow template, you simply print the .pdf file (we suggest printing the pattern pages on thick, card stock paper, but regular is fine too), cut the pattern pieces out of paper, lay them on your rolled out gingerbread, cut along the lines, bake, assemble, and decorate. Don't forget to take pictures along the way! This pattern builds a house that is roughly 8"W x 9"D x 9"H but you can enlarge or shrink the house by adjusting your printer settings. 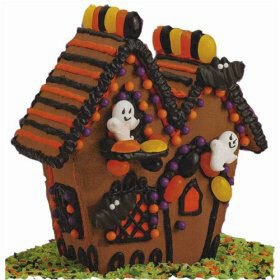 Return Home from Halloween gingerbread house template page.